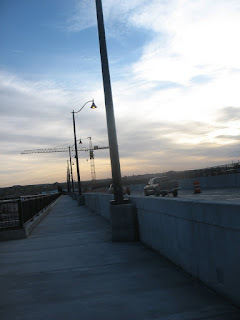 Part of the new 4th street bridge construction is complete. 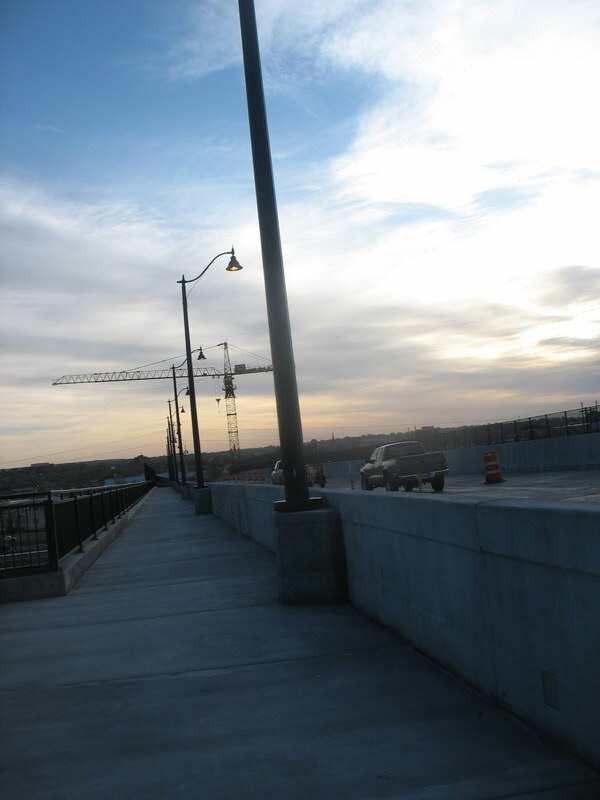 The upstream end of the bridge is open including, the 10 foot wide pedestrian walkway. The 10 foot wide shoulder for bicycle commuters is not open as it is being taken up by car traffic. The pedestrian walkway is very roomy, and I've taken it with my bicycle a few times, passing pedestrians with plenty of space and no problems. Once off the bridge, the paradise ends, and there is no shoulder and a skinny sidewalk. 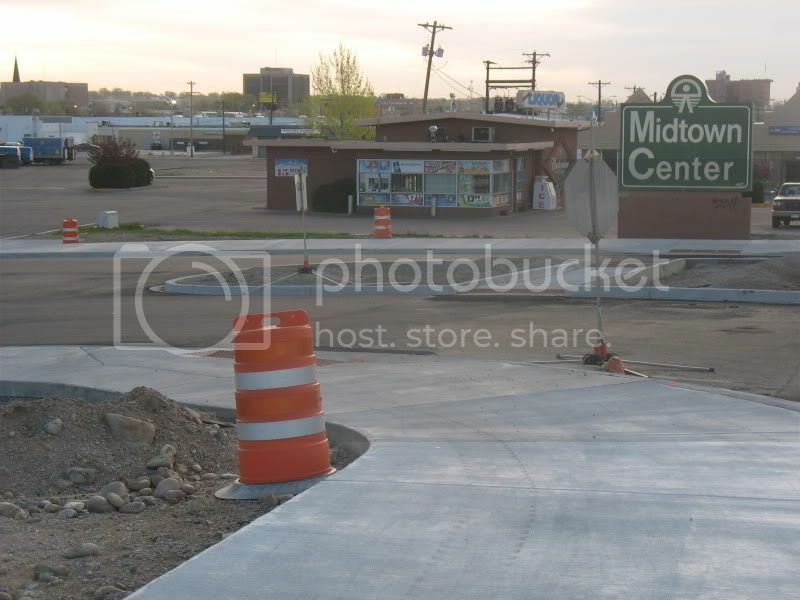 Access to the Midtown Shopping Center is good as the pedestrian bridge walkway exits into the Midtown parking lot. Schematics of the final design can be found here. Other project information can be found here. Thanks for all this practical information.